Burton Snowboards we have in our range from day one. We started in time with the Burton Elite and the Safari. For that period already progressive and forerunner to the competition. Burton Snowboards has been at the forefront of the development of snowboarding for years. The brand was founded in 1977 by Jake Burton Carpenter. This makes it one of the oldest brands in the snowboard scene. Many of today's developments come from Burton Snowboards and are therefore still the choice of many snowboarders around the world. Nowadays Burton Snowboards not only has snowboards, but also a whole line with snowboard clothing , snowboard boots and snowboard bindings . Burton Snowboards makes snowboards for every type of snowboarder. Whether you're an inveterate freestyler or a piste cruiser ... whatever board you want, Burton Snowboards has it. Countless types have already been reviewed, but some boards keep coming back in the collection. Burton Snowboards does, however, ensure that the boards are improved a bit or upgraded with new technologies every year. For both men, women and kids, special snowboard lines have been developed which specifically focus on the user. No matter what Burton Snowboard you choose, Burton delivers a mix of experience and technology. Little came of study during the youth of Jake Burton Carpenter. Born in 1954, the American has been fascinated by the sport from a young age. In his youth there was only skiing. So when Jake gets a Snurfer (small board with a string) for his birthday, a new world opens up for him. Meanwhile, there is a surfer named Dimitrije Milovich who developed the same Snurfer into a full-fledged snowboard, the Winterstick. Jake also looks forward to making a better product than the Snurfer. That Jake Burton has more marketing skills than Dimitrije Milovich, ensures that Burton is now known as the inventor of snowboarding. Unfortunately, that honor must be given to Dimitrije Milovich. But that entirely aside. Burton Snowboards started in a small garage in Vermont. The Burton Backhill was the first model to be sold under the flag of Burton Snowboards. The board had a rubber strap and a string. The first year Jake sold 300 boards. the following year there were a thousand. For the sport to grow, areas had to allow snowboarders. Mister Burton went alongside producing snowboards, also committed to allowing snowboarders in winter sports areas. In 1982 Suicide Six in Vermont is the first area that allows snowboarders. Then quickly followed many other areas and today snowboarders can not be forgotten from the pistes. Since its garage days, the innovations follow quickly in quick succession. More boards are added to the collections and factories are being opened in Vermont, Europe and Japan to meet the growing global demand. The innovations of Burton are full of a patent book, but for example the twintip, fixed insert patterns, the channel, specific construction of the wooden core, connections with infinite possibilities and the capstrap are just a few examples. It is not surprising that many famous riders come from Burton Snowboards. Names like Craig Kelly, Jeff Brushie, Terje Haakonsen and Shaun White are all snowboarders who have worked together with Burton to take the products to a higher level. For example, Burton Snowboards is constantly on the move looking for the ultimate ways to make the best snowboard products. In 2012, a new research and development center was opened in Vermont named after Craig Kelly. Here, cutting edge machines ensure that ideas from paper can quickly become reality by using, for example, high-end 3D printers that can produce immediately usable prototypes. What's new this winter at Burton Snowboards and what did they come up with in Vermont. It is often thought that there is no development in snowboard land. Below we list what Burton has put in their boards this year. The terms will fly you over the ears and we will try to explain it as simply as possible. The most important development can be seen in the profile of the snowboards. Most developments will take place in the future. A new technology is the Squeezebox from Burton. In short, it comes down to the fact that the board varies in profile height over the length of the board. The intention is to make the board feel softer under the feet and stiffer in the nose and tail. This results in a board that reacts better to your input and shows a better flex flow in a bend. It is distinguished into three different variants. Here the variation in height is less than in the High variant. As a result, the boards are more generous, more stable and therefore more controllable. The normal Squeezebox is included in these boards. Flight Attendant, Custom, Custom FlyingV, Barracuda, Trick Pony, Process, Nug, Nug FlyingV, Easy Livin, Custom Twin, Deja Vu, Lip Stick. This is the most forgiving variant of the system and is mainly used in the entry level boards of Burton. It makes the boards more generous and therefore extremely suitable for the learning snowboarder. Among others in the Blunt, Name Dropper and Social. Also watch the video below. Especially for pure twin snowboards where the rider with his heel side on one side of the board stands an OffAxis shape. Asware, the flex patterns under the feet run diagonally in the direction of the foot position. So if you drive duck stance 15/15 then you have to remember that the thickenings run in that direction. Do you understand him. Just look at the picture, then it becomes clear. In any case, it results in a more natural course of the flex pattern, which results in more grip and connection with the board during jumps and landings. Sit in the Burton Custom Flying V, Custom Twin, Process Off Axis and Name dropper. Do not destroy what you came to enjoy is a winged statement. Burton is also taking part in the trend to produce greener. For the Family Tree line use is made of FSC approved wooden cores. In addition to this development, a lot of material is recycled in the factories or, for example, incinerated to heat the building. An evolution in the traditional camber sheep. The Pure Pop has flat zones in the profile just on the outside of your foot position. As a result, the board gets more pop and the usually cramped feel is more playful. So the advantages of a camber combined with the advantages of a rockerboard. Has been in the Burton Snowboards for a while, but worth mentioning. Frostbite edges look like a magnifying glass so that it looks like there are bumps in the bindings. This "bump" provides grip on hard snow and or icy conditions. Here we talk about the wooden core of the board. A wooden core at Burton is made up of different variants of wood. It also contains the EGD which means so much that wood is placed transversely in the core in order to better convert the pressure of the bonds into strength on the board. The Dragon Fly Core consists of 500 wood components. This results in weight savings, more strength and a better response. This core is built into the custom x.
Burton snowboards uses two shape types. The pure twin and the directional shape. The twin is used when you want to go backwards as fast as forward. Is also more suitable for Freestyle or all mountain freestyle. Directional is often progressive directional, which means that the flex stiffness increases towards the rear. This results in a board with a lot of grip, a nose that stays above the powder and a board that will carve well on the track. 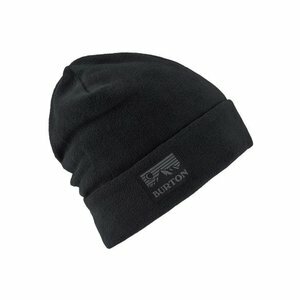 Buy Burton Snowboards and Bindings! In our shop in Alblasserdam or Zevenhuizen you can view and feel the collections of Burton Snowboards. Feel free to ask for advice when purchasing a product. Ordering online is also possible. Burton Snowboards and other products above 50 euros are shipped free of charge in the Netherlands and Belgium.